The evening falls in San José de Cusmapa, announcing a cold night in the small town, which for many years was the home of our founder, Father Rafael María Fabretto. 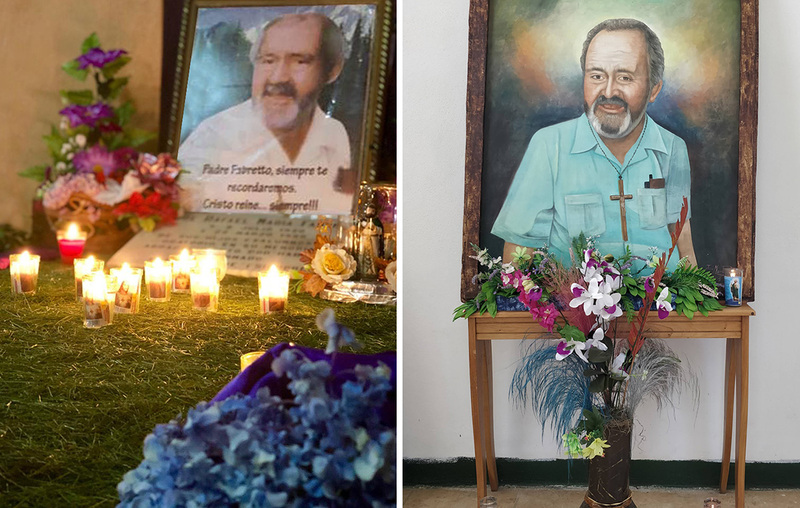 Every 21st and 22nd of March, hundreds of local families and devotees who travel several hours from all across Nicaragua join to remember and honor the legacy of Father Fabretto on the anniversary of his passing. 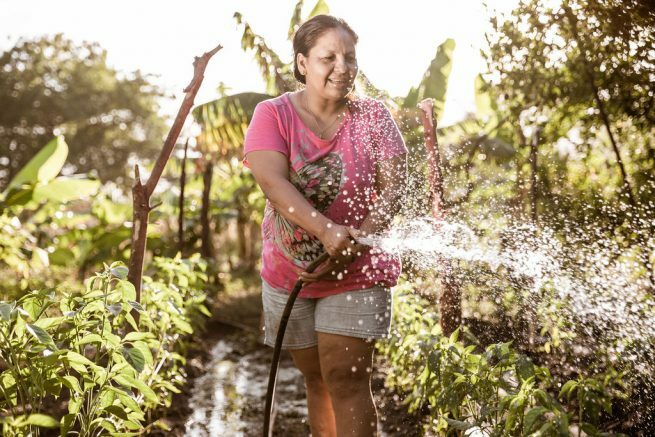 It has been 29 years since Father Fabretto left the physical world but his legacy of love is ever present in each young boy and girl who benefits from the education and nutrition programs he once lead. His values are embraced in the hearts of all Fabretto teachers and parents who hope of a better future for the children. Up to this day, entire rural communities where Father Fabretto served, sing his songs and continue his work. Left: Father Fabretto’s grave in San José de Cusmapa. Right: Altar of Father Fabretto at the Fabretto Center in San Isidro de Bolas. 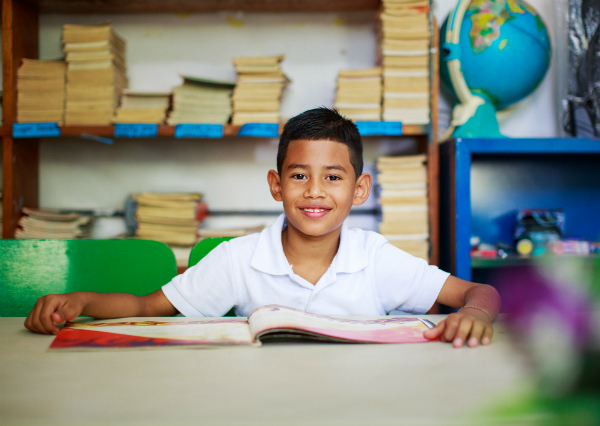 Today, more than 40,000 children and youth who benefit from quality education are formed with universal and Christian values and are helping develop their own communities through social work. 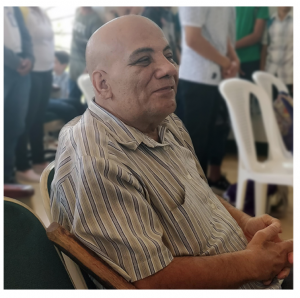 This spirit of service is inculcated following the example of Father Fabretto, who once left Italy and abandoned everything to settle in small communities of Nicaragua and dedicate his life to service. Those who were once adopted by Father Fabretto still remember him with a heavy heart. Don Vicente Baquedano is now an elderly man from San Francisco del Norte, a community near the border with Honduras. 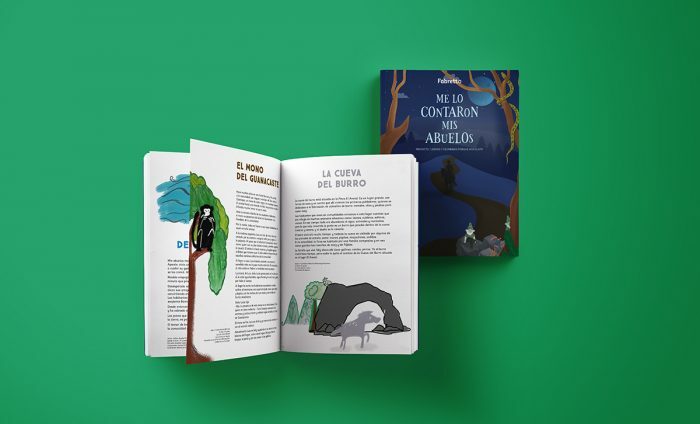 When he met Father Fabretto he was only 9 years old and eager to study. He says that it was Father himself who enrolled him in school and welcomed him as one of his children. Today, many of his children share testimonies of his love and now serve other children to honor the teachings of Father Fabretto. This year, many of his “adopted children” are involved in leading the process of beatification, as well as helping with the production of a new film about his life and legacy. 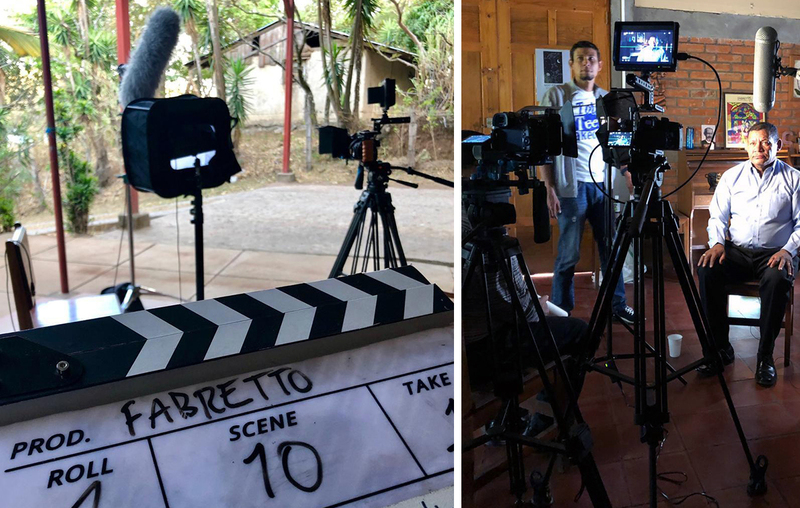 Recording of Father Fabretto’s film.